Athens Airport (ATH) is one of southern Europe's principal transport hubs and currently ranks as Europe's second best airport behind Copenhagen (source: IATA survey). Located 33 kilometres (20 miles) south-east of Athens, Athens Eleftherios Venizelos International Airport offers state-of-the-art facilities and services for travellers, including quality retailers, dining, business services and amenities for families. Opened in 2001, Athens Airport serves over 16 million passengers annually, is also notable for its first-class passenger security systems and is fully accessible for disabled passengers. A choice of transport options to Athens city centre and Piraeus port include the Athens Metro, train and express airport buses, and the Attiki Odos motorway provides a fast road link. ATH Airport has 4700 short- and long-term parking spaces served by shuttle bus. 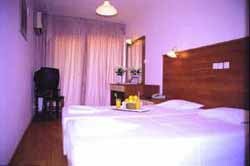 Athens World Airport Guide provides you with access to a complete selection of Athens airport hotels. Utilise the discounts offered directly from the hotel, with the assurance of secure booking. 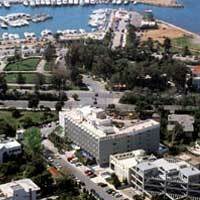 Extra services include airport car rental, airport car parking and flights to and from Athens Airport. Please note: The term Athens International Airport ATH as well as all associated graphics, logos, and/or other trademarks, tradenames or copyrights are the property of the Athens Airport authority and are used herein for factual descriptive purposes only. We are in no way associated with or authorized by the Athens Airport authority and neither that entity nor any of its affiliates have licensed or endorsed us.